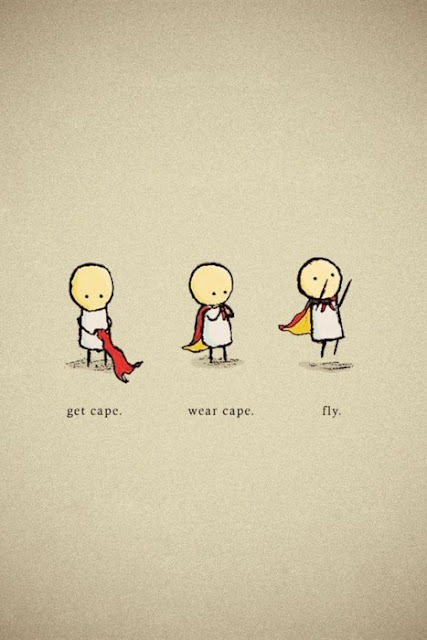 Little Space: Get Cape. Wear Cape. Fly. This year, I’m striving to improve. Take better care of my overall health. Drink more herbal tea. Relax. Exercise! Go to bed earlier and wake up with the sun. Respect dark chocolate for its beneficial properties. Be more on top of things. Important emails, especially those with regard to Bear’s homeschooling, should be written and responded to promptly. I must plan ahead and aim to get things done. Use my abilities in the kitchen towards gifts of gratitude. A chocolate mayo cake wins over a buttercream spectacular any day. Improve my planning skills. Contemplate and complete one handmade Christmas gift each month. Include breakfast and lunch on the menu and take the night before to prepare them. Take note of birthdays, anniversaries, and other important dates and give thoughtfully. ...live more. Go outdoors and breathe. Notice everything. Hug my kid and kiss my husband and live in the now. Be in the moments.